It’s a bumper weekend of news for fans of human-piloted mechanised combat as MechWarrior 5: Mercenaries has been announced at MechCon 2016 to return the series to its singleplayer FPS roots. If you would prefer a faster shooter, please consult the best FPS games on PC. Nearly 15 years after the last singleplayer entry into the MechWarrior series, the next major release will be put together by MechWarrior Online developers Piranha Games and is aiming for a window in 2018. Showing off pre-alpha gameplay footage on stage, Piranha president Russ Bullock revealed that the game would be PvE and career-based with a mercenary campaign driven by player choices. 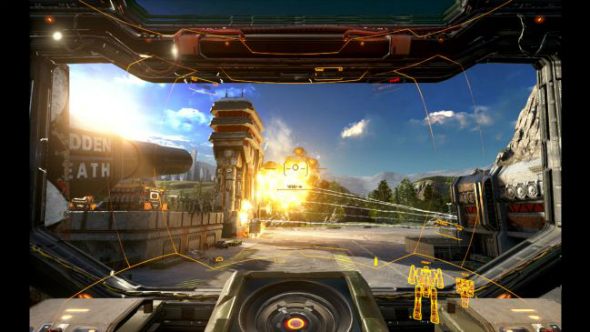 Taking place during the Third Succession War, MechWarrior 5 will put the newbie player character into the cockpit of a mercenary mech involved in the fight for control of the area of space surrounding Earth, the Inner Sphere. The Piranha team, separate from the one maintaining MechWarrior Online, has opted to use Unreal Engine 4 over MWO’s CryEngine and the pretties don’t appear to have suffered for it. If you want to learn more peek through at the website and watch the gameplay demo from MechCon below.